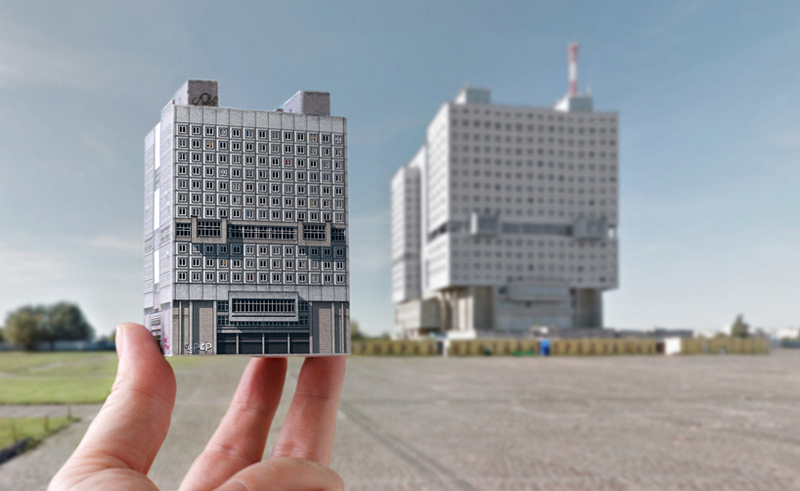 Hold the most iconic and imposing of Eastern Europe’s Brutalist architecture in the palm of your hand with this new set of paper miniatures by Zupagrafika. 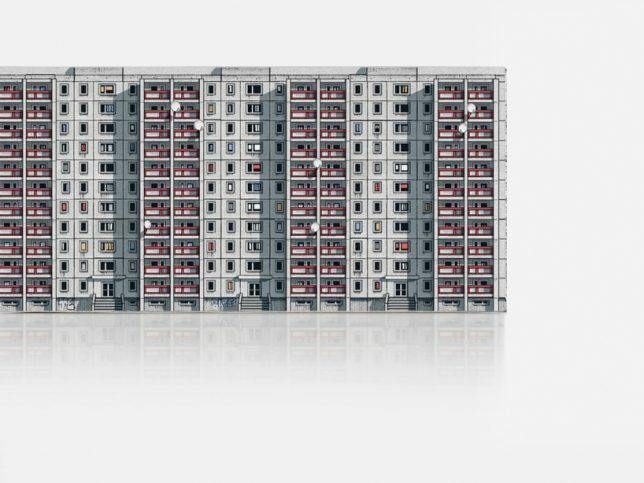 The design studio presents ‘Brutal East,’ a kit of seven cut-outs you assemble yourself into tiny towers from Belgrade, Kaliningrad, Prague, St. Petersburg, Wroclaw and more. 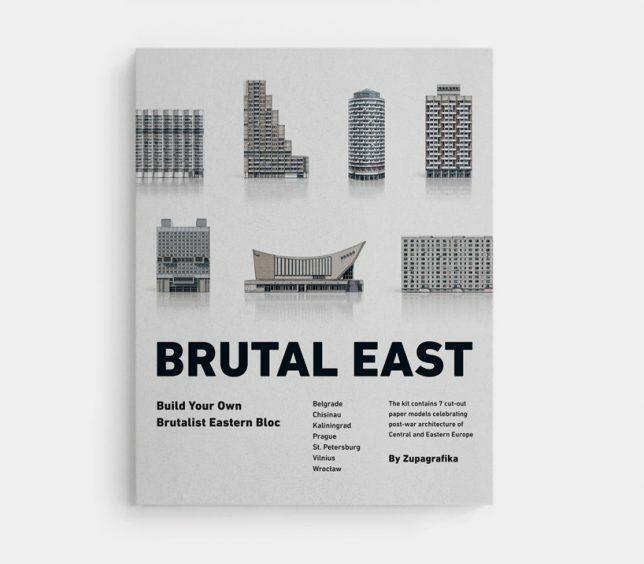 ‘Build Your Own Brutalist Eastern Bloc,’ the packaging reads, an enticing statement if any architecture nerd ever heard one. 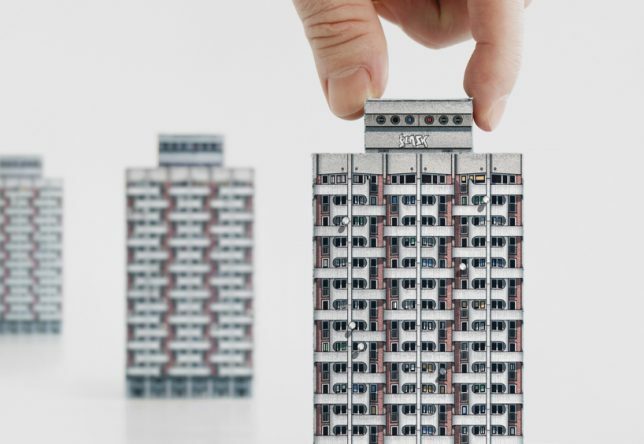 The kit is appealingly packaged and beautifully detailed, each building bearing its tiny satellite TV dishes, stains, graffiti and weathering. 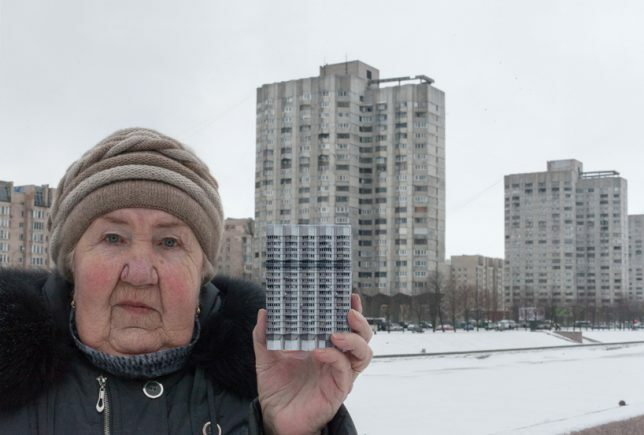 It’s a neat way to hold on to divisive architecture that may soon be lost to history. 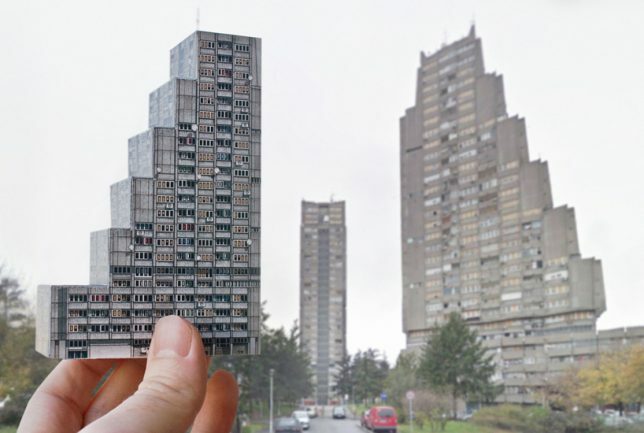 While many people think these structures are ugly and depressing, they’re undeniably memorable. 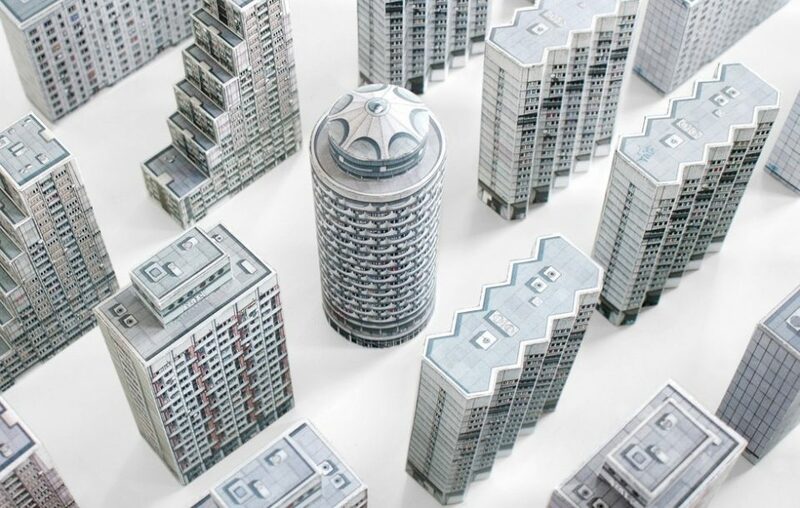 ‘Brutal East’ is just the latest kit of paper Brutalist models from Zupagrafika; the design studio previously released a set of Modernist Architectural Matryoshka it calls ‘Blokoshka’ as well as sets from London, Paris, Katowice and Warsaw. 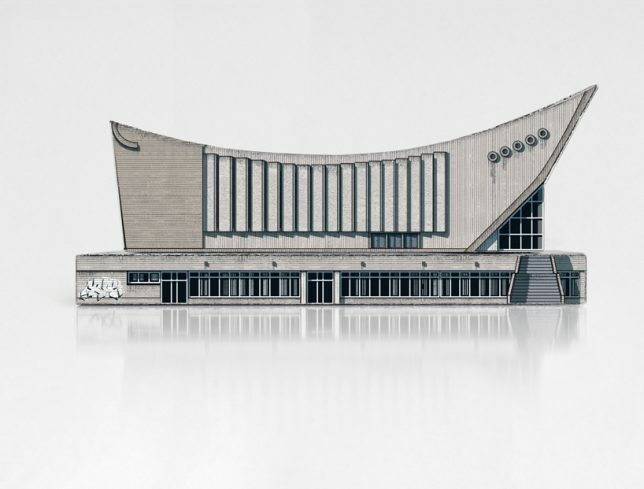 They also offer tiny paper models of Polish street icons like advertising columns, ticket validators and 1980s cars. All kits are available in the studio’s online shop.